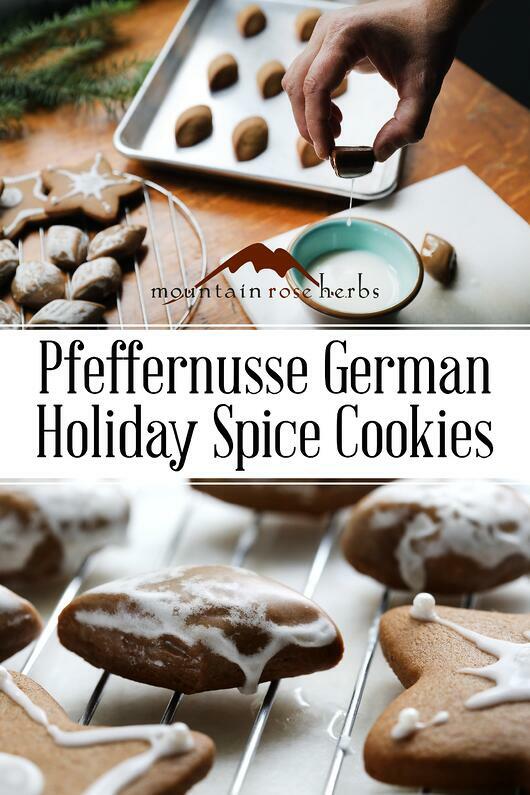 Pfeffernusse cookies, also known as peppernut cookies, are a small and dense spice cookie from Germany. The dough is dark and warming, similar to gingerbread, and the cookies are often either iced or sugar coated. While tasty throughout the year, they are especially popular during the winter or holiday season. Which spices are used in “Peppernut Cookies”? 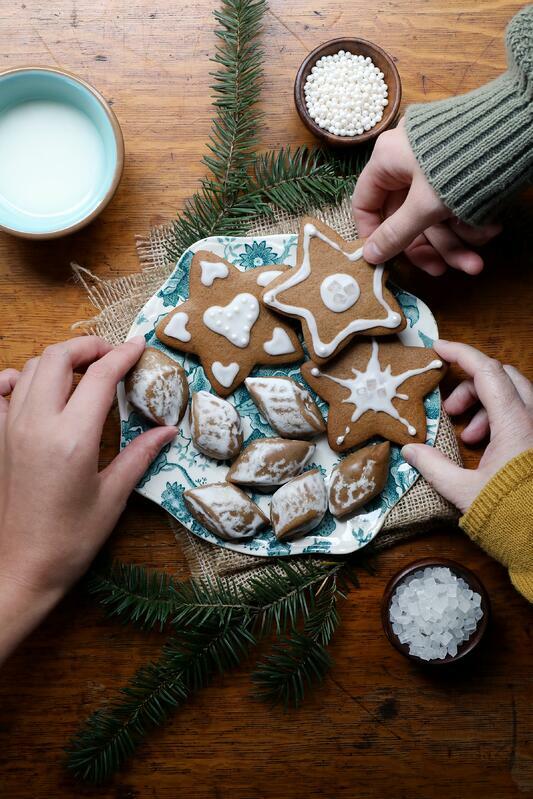 Popular spices for Pfeffernusse cookies include black pepper, cinnamon, allspice, nutmeg, cloves, and ginger. The combination of these warming spices with the flavor of dark molasses makes for a classic, wintery treat! When working with spices, you might find it helpful to have a hand-held grinder, mortar and pestle, and/or nutmeg grater on hand. In a medium bowl, combine flour, pepper, cinnamon, allspice, nutmeg, cloves, baking soda, and salt. Set aside. Cream butter, brown sugar, and molasses until smooth. Add flour mixture. Knead a few times to bring dough together. 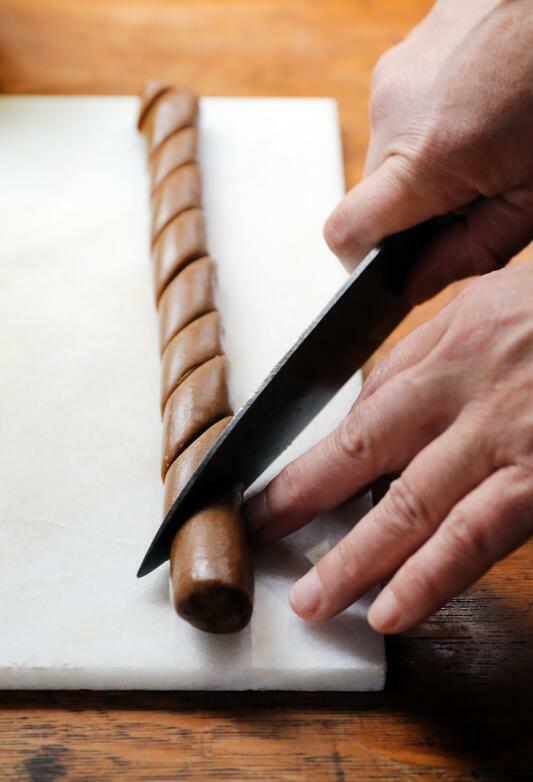 Roll a portion of dough into a 1-inch thick log. Slice 1-inch "diamonds" by cutting logs diagonally. Arrange cookies 1 inch apart on baking sheets with parchment paper. Dough can be frozen at this point (covered tightly with plastic wrap or a reusable food wrap), for up to a month. 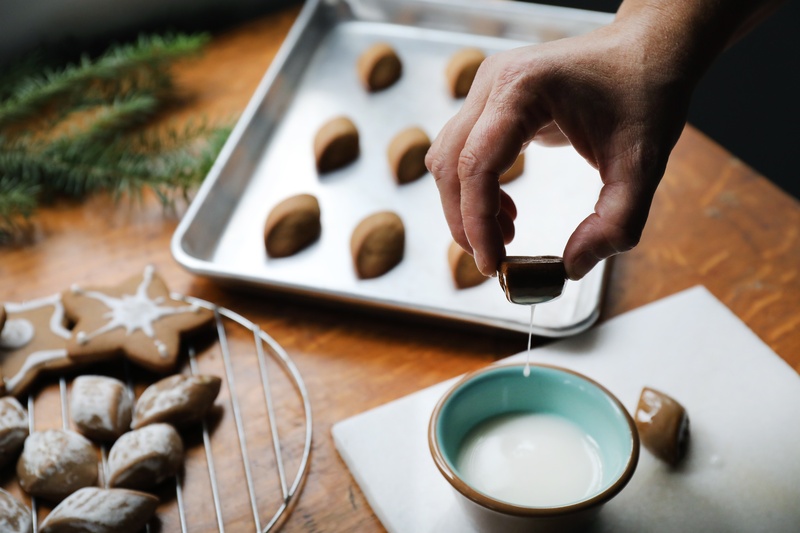 Bake until cookies are golden and firm to the touch with slight cracking, about 8 to 10 minutes, rotating sheets halfway through. Meanwhile, add powdered sugar to bowl and whisk in a teaspoon of water at a time until a glaze-like consistency is reached. While hot, dip cookies in glaze. Let dry completely on wire rack. Store in an airtight container. Pro Tip: As noted above, this recipe also makes terrific rolled gingerbread cookies. Just add a teaspoon of organic ground ginger when adding the other spices, chill dough well, cut out, bake, and decorate! The dough does not need to be chilled for making Pfeffernusse cookies. 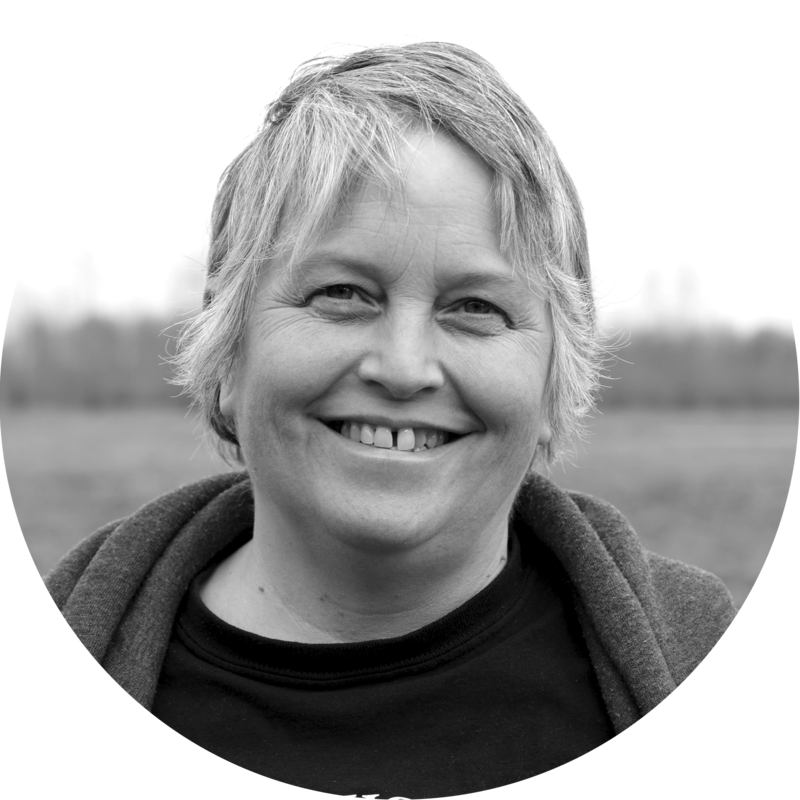 Looking to bake some more botanically inspired goodies?